We want your poultry recipes for the Duncan’s Poultry cookbook! Do you have a favorite way to cook chicken? Do your family and friends request that you make a certain poultry recipe? Do you have a yummy recipe for turkey salad or chicken pot pie? Do you know the best way to cook a goose, pheasant, duck or quail? Submit your best poultry recipes for the first ever Duncan’s Poultry cookbook. 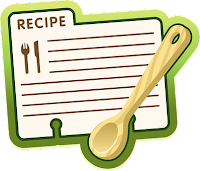 1.Submit up to five (5) recipes by email to duncanspoultryrecipes@gmail.com or mail your recipes to: Duncan’s Poultry Recipes, 2947 Ogden Ave, Missouri Valley, IA 51555. 2.Make sure your name is included in the email or with your recipes so youreceive credit for them in the cookbook. 3.Recipes will be accepted until November 30th, 2018. The cookbooks will be for available for sale in 2019. 4.All submitters will be entered for a chance to win a free copy of thecookbook. Tell your friends! Together we will make the best poultry cookbook available!